ProSolutions Training offers Florida child care professionals online training including CDA coursework and renewal, subscription plans, and more than 100 individual trainings in early childhood education. Most online child care training courses are also offered in Spanish. Our child care training courses are skills-based and encourage Florida child care professionals to reflect on individual teaching or professional style and transfer knowledge to daily work. ProSolutions Training online courses are Accepted in the state of Florida. Based on the parameters for acceptable Early Care and Education training hours outlined by Florida Department of Children & Families, there is no formal approval process for in-service training courses that provide Continuing Education Units (CEUs). According to the Florida Department of Children & Families, in-service training hours used to meet the 10-hour in-service requirement may be earned in a variety of ways, such as participation at national, state, or local conferences relating to children; specialized workshops; or completion of a course from Part II of the Introductory Child Care Training provided by the Training Coordinating Agency. ProSolutions Training courses provide IACET CEUs and are accepted by the Florida Department of Children & Families to meet the 10-hour in-service requirement. ProSolutions Training offers the CDA formal education requirement that is accepted by the Council for Professional Recognition. Click the button below to view the online child care courses and training available in Florida. Learn more about earning the Florida CDA Credential and Florida CDA Credential Renewals. Florida child care training group subscriptions are a great way to train and retain early childhood educators. The Group Subscription allows child caregivers the ability to choose from more than 100 online training courses developed specifically for early childhood education professionals by curriculum experts. The child care facility director or administrator manages the account access and can add and remove staff as needed. It is simple to assign courses to individual or all team members. The Florida child care training individual subscription is the perfect online early childhood education solution for individuals. This subscription gives access to more than 100 online training courses developed by curriculum experts at ProSolutions Training. Print individual Professional Development Certificates as each course is completed. This is the most economical online child care training option for individuals. 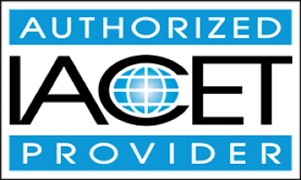 ProSolutions Training has been accredited as an Authorized Provider by the International Association for Continuing Education and Training (IACET) in Florida. ProSolutions Training coursework adheres to the highest standards set by IACET. ProSolutions Training includes	CEUs at no extra charge with every Professional Development Certificate. Locate information about Florida's Quality Rating and Improvement System at the Florida Office of Early Learning - Florida's early care and education professional development system is a framework with four key elements that define pathways tied to credentials, certifications and qualifications to meet the needs of individual adult learners in the field. Information about the Quality Rating and Improvement System in Florida can also be found at Florida Office of Early Learning.